SharpCutter Grinding Co. 5X-EDGE SharpCutter Grinding Co. 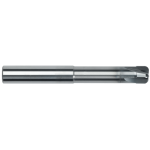 Designed for high feed pocket machining. Great for profiling machining of molds and dies. Capable of cutting up to 60 Rockwell. H6 shank tolerance for “heat shrink applications”. Excellent for 5 axis high feed machining.